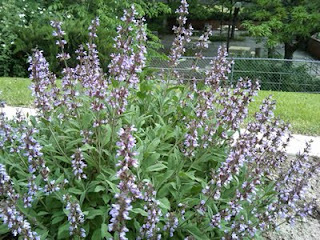 The sage is encouragement to keep creating an herb garden. It will be a corner of the herb garden. We have had a cold wet spring, so my goal is to have it created in two weeks! I also planted a cherry tomato plant and a lemon cucumber plant. Definitely later than last year!